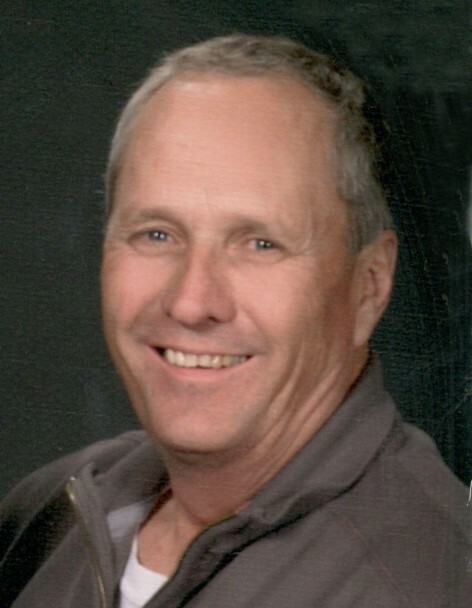 Eugene Gilbert Pederson, 70, of Underwood, passed away Friday, February 8, 2019, at Battle Lake Good Samaritan Society, with his wife Pam by his side. Eugene was born on October 19, 1948 in Preston, Minnesota, the son of Elmer and Ethelyn (Wick) Pederson. He attended Barnhard School and graduated from Underwood High School, where he excelled at baseball. When Eugene came up to bat, they knew it was going over the fence. Eugene served in the US Army Reserves for four years and returned to Underwood, where he farmed with his dad. During a blizzard on November 26, 1977, Eugene married Pamela Johansen at Sverdrup Lutheran Church in Underwood, and they were blessed with two children. Eugene took great pride in caring for the land, milking cows, and keeping his red machinery in meticulous shape. He was involved with the boards of Sverdrup Township, Underwood Co-Op Creamery, Sverdrup Insurance, and was an active member of Messiah Lutheran Church. Eugene was recognized as the longest active dealer in the tri-state area for Dekalb Seed, serving for 43 years. Despite his declining health, Eugene was determined to finish harvest this last fall and was successful in getting all of the equipment back to the farm on a snowy day. In his spare time, Eugene enjoyed snowmobiling, watching his son Dan race cars, and having coffee with friends at the corner store and Farmhouse Café. In his earlier years, he enjoyed time swimming with his cousins at Anna Lake. More recently, you could find Eugene relaxing in a lawn chair on Round Lake, visiting with family and friends, and watching his grandkids swim. An avid sports fan, he seldom missed watching Erica play volleyball and basketball. Eugene and Pam enjoyed winter vacations, traveling to St. Lucia, Jamaica, Las Vegas, and the Bahamas, to name a few. Eugene was a proud family man who always put his family first. Time spent with his grandkids was especially important. Eugene is survived by his wife, Pam of Underwood; daughter, Erica (Chris) Wolden of Underwood; son, Daniel (Lisa) Pederson of Underwood; four grandchildren, Bristol, Blake, Brooks, and Beckett Wolden, and one (baby Pederson) on the way; brothers and sisters-in-law, Patsy (Ken) Rasmussen, Judy (Mark) Grefsrud, Jill (Lee) Bakken, Melissa (John) Alsgaard, Teresa (Brian) Quaal, and Michael (Michelle) Johansen; father and mother-in-law, Vernon and Janice Johansen; along with many nieces, nephews, cousins, and friends. In addition to his parents, he is preceded in death by his sister, Patricia Curfman. Visitation: 5 – 7 PM Friday, with a 6:30 PM Prayer Service, at Glende-Nilson Funeral Home, Fergus Falls, and one hour prior to services at the church.